I have had the Poppy Parker from the Barefoot In The Park, The Bratter Lover's set for a while now. I love the Poppy Parker sculpts just by default, but I do have a preference for the ones with very dark brunette hair, and definitely the ones with bright red hair. I know I will never be able to get my "grail" Poppy Parker red head, which is the Sweet In Switzerland, but I think I can get pretty close to it myself. 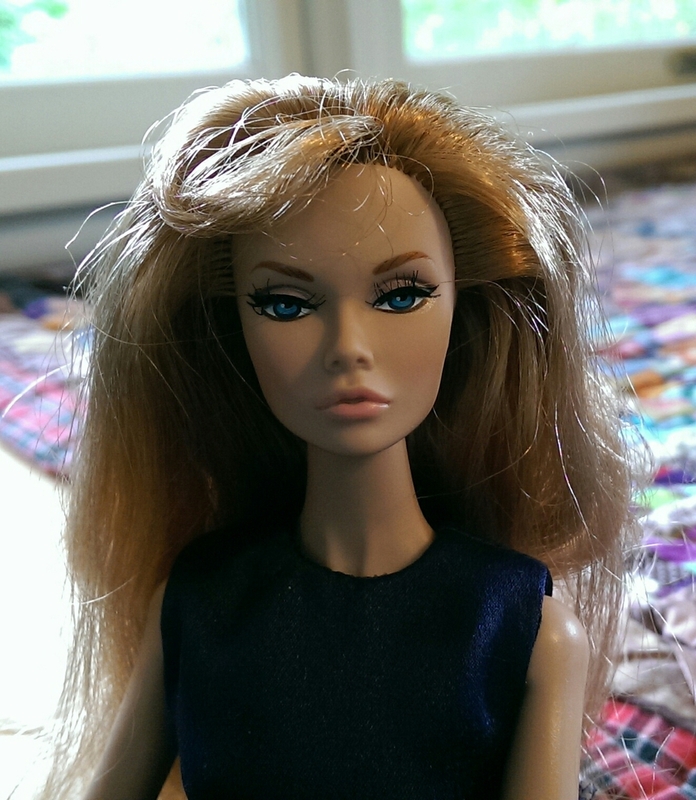 I just have to be brave enough, and patient enough, to do a full re-root on my Bratter Lover's doll. First step was getting the color I wanted. I went to tried and true RestoreDoll.com, and went straight for the Katsilk Saran section. I have done partial re-roots on dolls years ago, and this was the hair I used. The price is right, shipping is reasonable and very quick, and the customer service is exceptional. What I really love about them is their willingness to make a custom blended hair color. The color I went with is a blend of More Titan, Mahogany, and Grant A Wish. The fact they are willing to make a custom blend with a color that's already a custom blend is what puts them over the top for me. 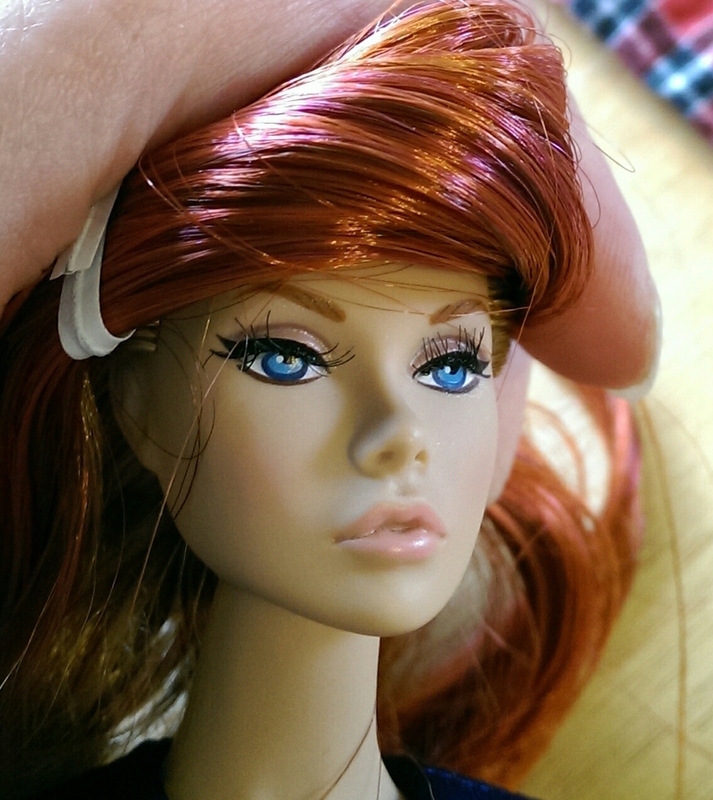 The Bratter Lover's doll has a strawberry blonde color, with bangs. I've never been a fan of bangs on my dolls, most likely because of some deep rooted childhood issues involving my mother. I know this is a doll meant to look like a character, and as far as bangs go they look alright on her. But I just haven't been as happy with her as I know I should be with a Poppy Parker doll. So, she will become a red head, without bangs, and hopefully will not end up permanently damaged by my efforts! All my re-roots before didn't require me to remove the doll's head. This one will. I will be watching a lot of tutorials first before I take that step!